We believe that smart technology doesn’t have to be hard to use. Just drag-and-drop MS Word and PDF Statement of Advice files into the responsive web app. In seconds TIQK’s natural language algorithms identify the Financial Adviser and clients, and completes the audit. TIQK reviews every file for evidence that the Financial Adviser has acted in their client’s best interest. Any issues are clearly explained to make it easy to focus on risks. Using cutting-edge artificial intelligence, TIQK can even flag hard-to-detect behavioural issues like “cookie-cutter” advice — something that’s challenging to do with human experts alone. TIQK takes just seconds to review more than 650 legal and regulatory attributes in every Statement of Advice file. It even tracks how regulations and advice formats change over time, so that you always get an accurate regulatory review. The audit report makes it easy to focus on risk areas, and includes the what, where, and why of each result. And it’s easy to add comments and download the report to share and review offline. The Dashboard aggregates data from all audits for a top-level view of your risk exposure and trends. Dive deeper into selected visualisations, and export to CSV for offline analysis. For experienced analysts we offer sample code to integrate live audit data into popular business intelligence tools like Microsoft PowerBI, Microsoft Excel + PowerQuery, and Tableau. 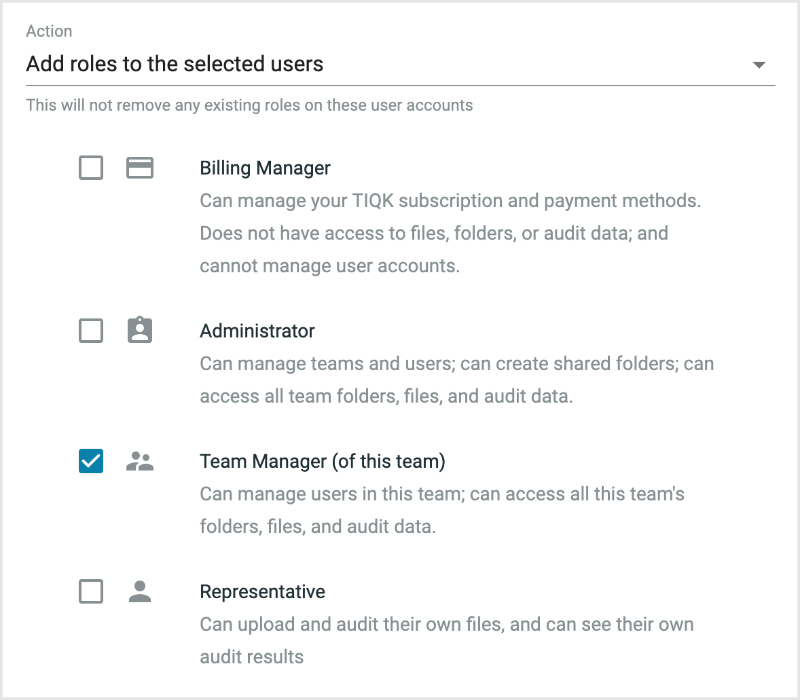 Create teams and invite users with unique permissions to organise and protect your data. You can even bulk import Financial Advisers so that they can proactively audit and review their own advice files. 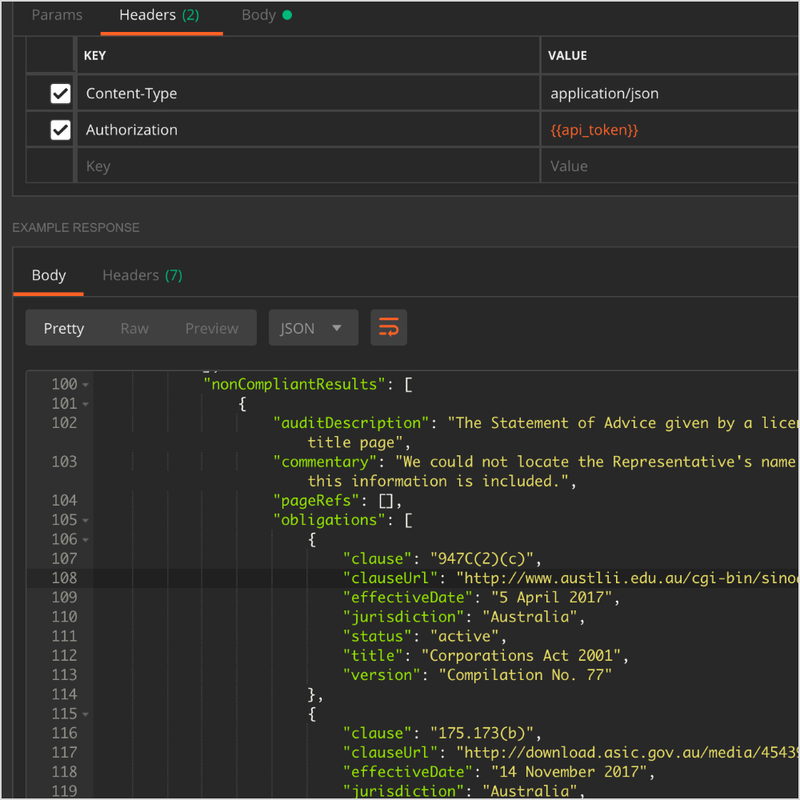 Our Developer API makes it possible to securely integrate TIQK capabilities into business workflows, systems, apps, and dashboards. Our security is constantly maintained, enhanced, and verified, and we employ a wide variety of security mechanisms and conduct independent security tests and reviews. And your data remains backed-up and secure in on-shore data centres at all times.